Extremely beautiful, rare and unique Pink and Brown Striped Agate natural stone pendant. Wire wrapped in silver square wire on sterling silver square chain. 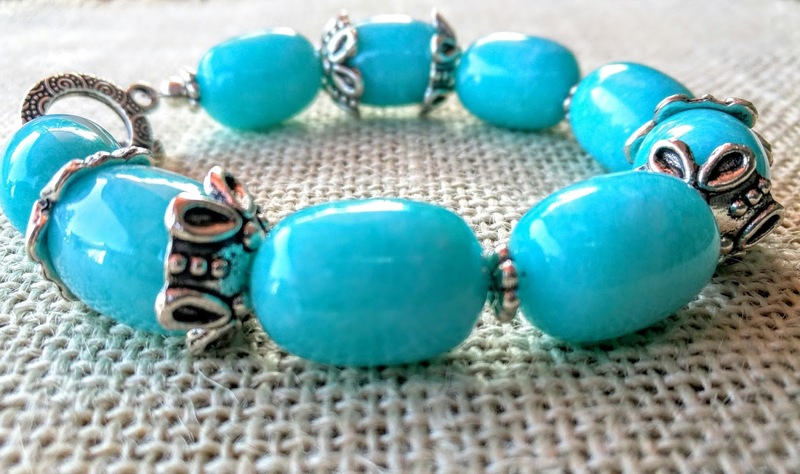 The necklace is 20" long with 2" extension. The stone itself is 2" long. Only $43 plus $6 for shipping and handling. The photo may not clearly reflect the exact color as listed due to the camera, the lighting and other factors such as your screen settings. Color may vary slightly due to the color calibration of each individual monitor . Pink Agate calms, comforts and provides security. It eases stress, promotes unconditional love for others and the understanding that you are lovable. 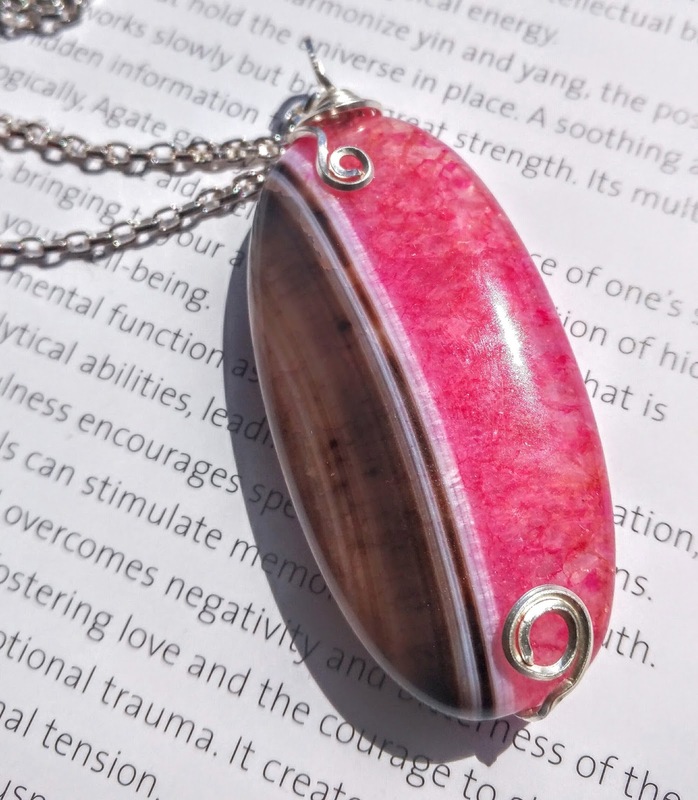 Pink agate offers positive self image. 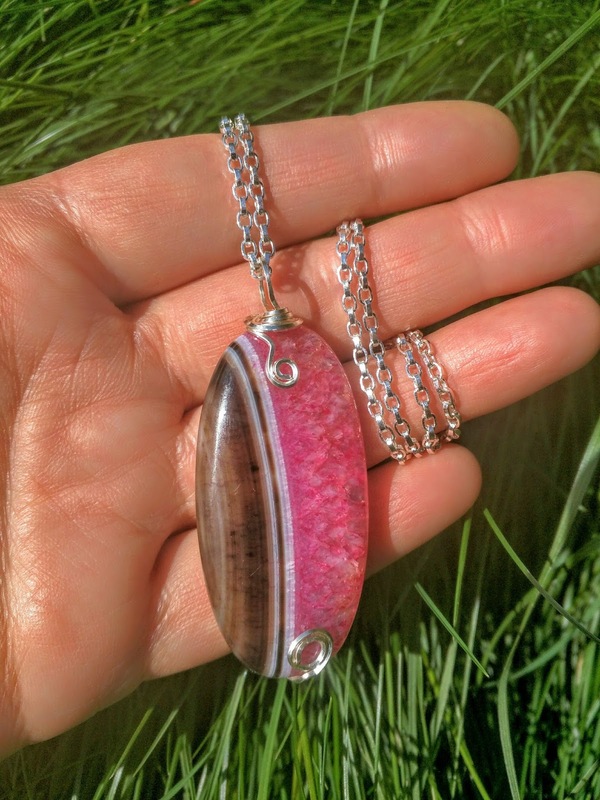 Pink agate promotes love between parent and child. Brown Agate brings its owner victory in conflict, increases intelligence. 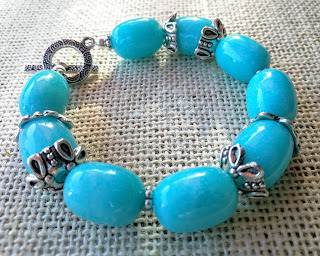 Sincerely yours, Anna Ivanova, Jewelry Designer at Beadly Things. The spring is finally here! Blue skies, warm sunshine and occasional rain - everything is cheerful and full of new life! Treat yourself with something new and unique this spring, add a piece of blue sky to your wardrobe. 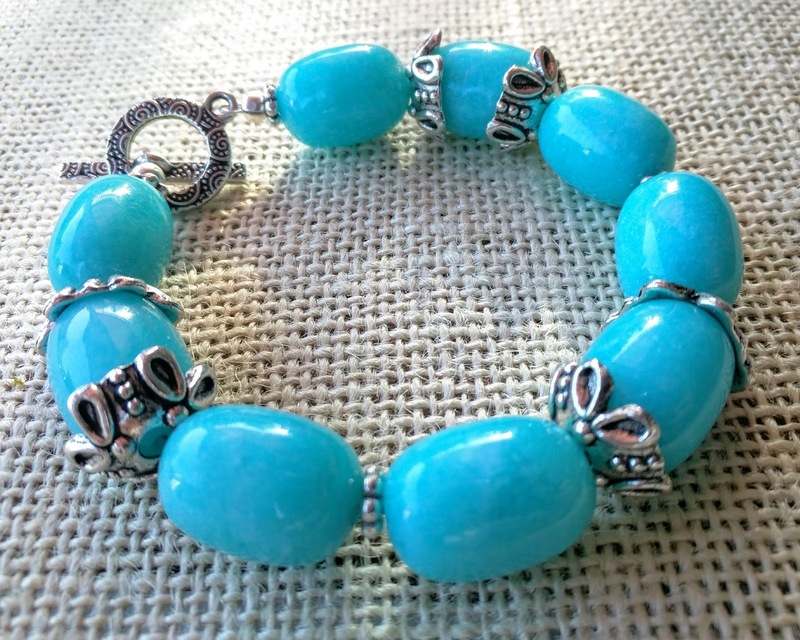 Beautiful chunky bracelet made with light blue oval Jade beads and Bali Silver details. 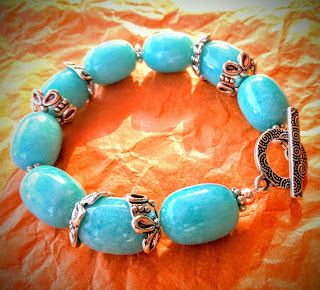 The length of the bracelet is 8''. Blue Jade symbolizes peace and reflection. It brings inner serenity and patience. It is the stone for slow but steady progress. It helps people who feel overwhelmed by situation beyond their control. Should you have any questions, please do not hesitate to contact me, I love hearing from my customers! 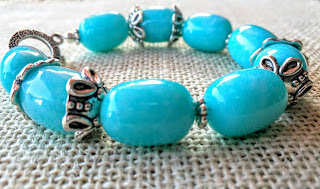 Anna Ivanova, Jewelry Designer at Beadly Things.